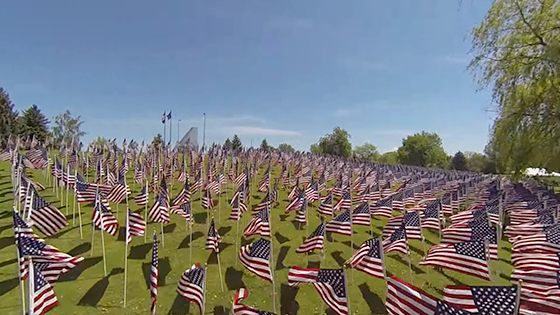 Memorial Day weekend May 25-27 volunteers will gather to post one thousand American flags for the Idaho Falls 7th Annual Field of Honor® flag display. The event will be hosted again by the Idaho Falls Exchange Club Foundation and The City of Idaho Falls. 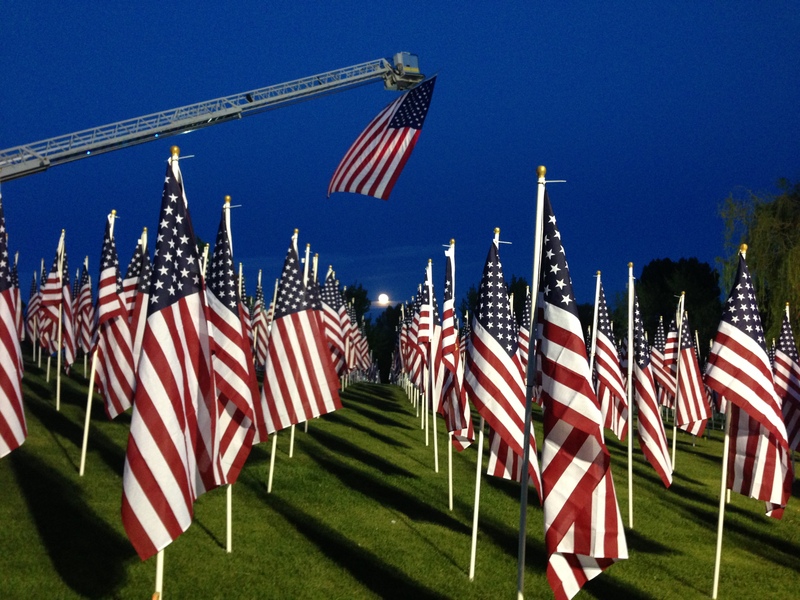 This sea of red, white and blue waving in the breeze will fly as a tribute dedicated to benefit local Veterans Groups, local Child Abuse Prevention Agencies, and Bonneville-Idaho Falls Crime Stoppers. Please join us at Freeman Park (attendance is free for everyone) as we walk amid the ordered rows of Old Glory where each full-sized flag waves atop an eight foot white staff in a stirring formation. Standing amid the flags, we remember and reflect in a salute of the living to those who serve, defend and sacrifice to preserve our nation and way of life. To Honor A Hero: Sponsor a flag in the name of your hero for $30. Net proceeds from your contribution go to help local veterans, families of veterans, victims of child abuse, and community crime prevention efforts. Your generosity is greatly appreciated. Thank You!